The UCSD Superfund Research Center’s (SRC) objective is to generate new perspectives on the molecular and genetic basis of the biological effects of toxicant exposure, leading to new methodologies for gauging health risks and assessing health effects; innovative detection and monitoring systems for toxicity; and novel models for bioremediation. 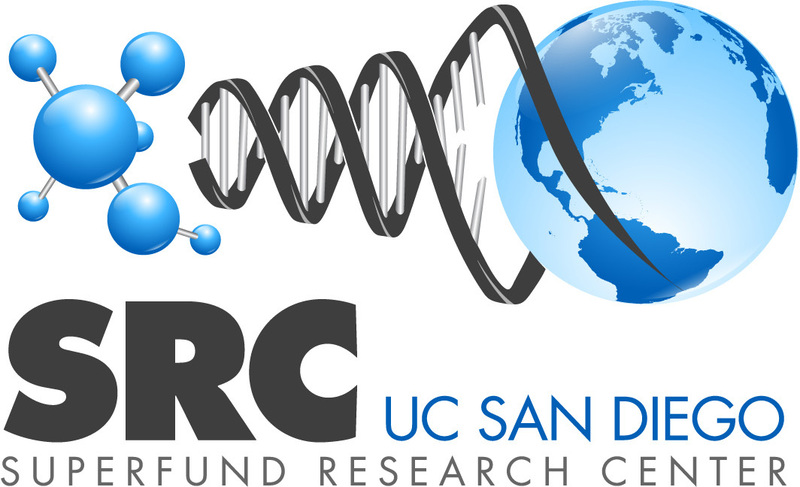 The UCSD SRC is a multidisciplinary effort consisting of 5 biomedical research projects, 2 non-biomedical research projects, 2 research support cores and Research Translation and Community Engagement cores. The research is supported in part by a Ph.D. training program. We are testing the hypothesis that “Alterations in biological response by Superfund site chemicals can be exploited to develop models for the detection and bioremediation of chemical toxicants”. Our findings have shown that chemical exposure leads to alterations in patterns of gene expression which are controlled and regulated by underlying signal transduction pathways. The environmental problems unique to our coastal environment proximate to the populous U.S.-Mexico border create issues involving water born pollutants that are of special relevance. Through our Research Translation and Community Engagement Cores, partnerships have been formed with local industry and community groups to utilize our developing technologies as applied biological tools for assessment of exposure levels and to predict health risk. Investigators with complimentary expertise from 10 UCSD Departments, Organized Research Units and Centers are participating in this project, as well as two outside organizations. Our combined efforts are anticipated to provide new insights into the molecular mechanisms that lead to environmental illness, and improve our understanding of the consequences of exposure to Superfund site contaminants. Understanding the cellular and molecular mechanisms of hazardous chemicals in our environment is a critical national objective. The Comprehensive Environmental Response, Compensation, and Liability Act (CERCLA), commonly known as Superfund, was enacted by Congress on December 11, 1980. CERCLA was established to gain knowledge on the public health risks associated with exposure to Superfund site hazardous waste. More specifically, sites that are contaminated with hazardous substances as well as broadly defined "pollutants or contaminants".Thus, a greater understanding of the exposure pathways and the health consequences resulting from human exposure to uncontrolled hazardous waste from Superfund and other hazardous waste sites are high priorities. Download our UCSD SRC Factsheet!